Yogaloft Playa del Carmen is created to provide world class yoga teachings in the intimate, paradise community in the Riviera Maya of Mexico. Including Ashtanga Yoga, Gannon Power Vinyasa, Yoga Basics, Vinyasa Yoga & Yin Yoga . As well as International Teacher Training Certifications with founder Michael Gannon. 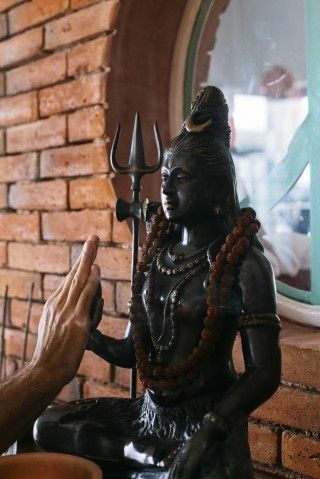 A magical space with students visiting from around the world repeatedly refer to as, "The most beautiful Yoga School they have ever seen!" - Two yoga shalas that open into one, accommodating over 80 yoga mats. - Real hardwood floor and high-ceilings with glass block and red brick walls. - Spacious bathrooms that spoil the ladies with three hot showers, 3 toilets, 2 sinks and large mirrors. - A beautiful, traditional Puja Room. - 60 private lockers with keys. - The Liquid Prana Brand Fridge with our cold press juices, cold brew coffee, fresh made nut milks, superfood shakes, mango lassis, prana balls, kombucha, fresh coconut water, breakfast jars and more. - A Chai Bar making hand made Indian Masala Tea and a Nespresso machine for capucchino and espresso. - Healing therapies including Massage, Aromatherapy, Chiropractic and Acupuncture. Nag Champa and more. 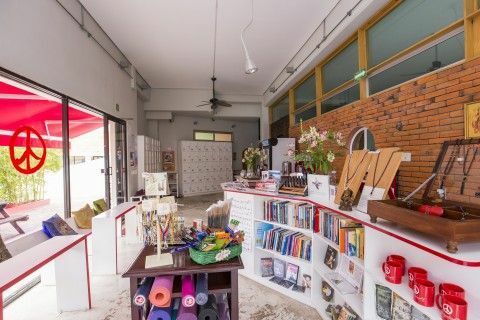 Plus hundreds of yoga books, jewerly, hand made Indian Silk dresses and incense. 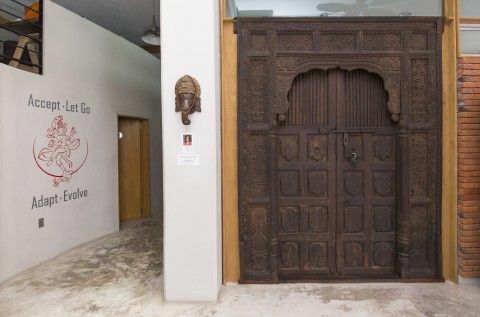 Every part of the Yogaloft design is not only to support the Sangam of the local yoga community, but also an international space that hosts World Teachers for workshops, teacher trainings, Urban Beach Retreat packages with our hotel and healthy food partners, live world music performances and more.